Worried someone you have a huge crush on has blocked you on Whatsapp? If someone is ignoring you for days, there might be some reason behind your fears. Whatsapp doesn’t really notify you when a contact blocks you on its platform. But there are several methods that can help you in ascertaining if a close friend or a work colleague has blocked you on the highly popular social media platform. In this tutorial, you’ll learn how to know if someone has blocked you on Whatsapp. That being said, the best way to find out if a certain someone has blocked you is to approach them and ask them the the old fashioned way. But for Millenials, such conversations are not only awkward but also require a lot of courage and guts, which is certainly lacking in this generation of “behind the computer screen” Jihadists. So, if you’re one of those people who don’t consider walking up to someone and burying the hatchet an option, this guide is tailor made for you. Our first line of action will be checking the last seen status of someone we think has allegedly blocked us. Here’s how you can do it. Go to the chat of the person you think has blocked you. 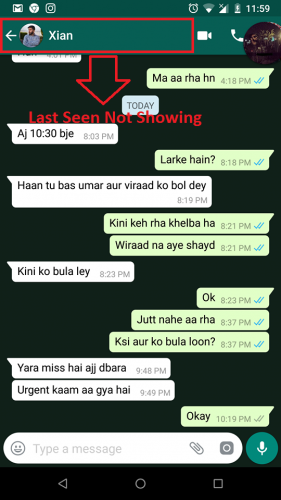 At the top of the chat window, check if you can see a last seen message like this,” last seen at 10:30”. If not, you’re probably on his block list. How to know if someone has blocked you? Check the ticks amigo! The blue ticks affirm that your message has been received and read by the recipient. So, if you’re constantly sending messages to a contact, and instead of a blue tick, a grey tick is incessantly staring at you and getting on your nerves, it is a telltale clue that you’ve been blocked. Two grey ticks are still fine, because it means your message has been sent, but a single grey tick is a red flag. It automatically means that Whatsapp has stopped your message from going through. On the off chance, the user might have gone AWOL, because he might have deleted the application or lost his phone, which is a possibility. This takes us to our next point of confirmation. Sure, there are a lot of people who use the same profile picture on their Whatsapp profiles for years. But, what about those who change their display pictures every other day? So, if the person you think has blocked you hasn’t changed his or her profile picture or hasn’t changed his status for days, this might mean that he’s probably blocked you. Whatsapp doesn’t allow blocked users to see profile changes. This is the final nail in the coffin. Even after ticking every aforementioned point, there’s a possibility you might still not be blocked. However, if you initiate a Whatsapp call with the suspected contact, and the call goes through or is picked up, then rest assured, you haven’t been blocked. You’re in the clear. If the call doesn’t ring, you’re most definitely in their block zone. This is another surefire test of ascertaining a Whatsapp block. 1. 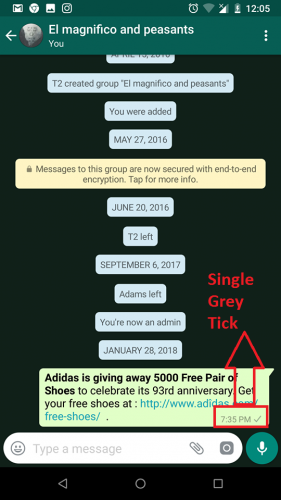 Create a Whatsapp group. 2. Add the suspected contact along-with other contacts. 3. If you’re not given authorization to add the contact and are met with an unexpected error message, you’ve been blocked beyond doubt. How Can I Unblock Myself? Unfortunately there’s no hack or black magic to get yourself unblocked on whatsapp. The only way to get on the good side of your blocked contact is to actually meet them in person, and sort out your differences. Otherwise, you’re not going to be able to stalk them, watch their Whatsapp status videos or pictures or converse with them on the platform. So, grow some balls and do what’s right. This world isn’t made for people who aren’t willing to hurt their egos. 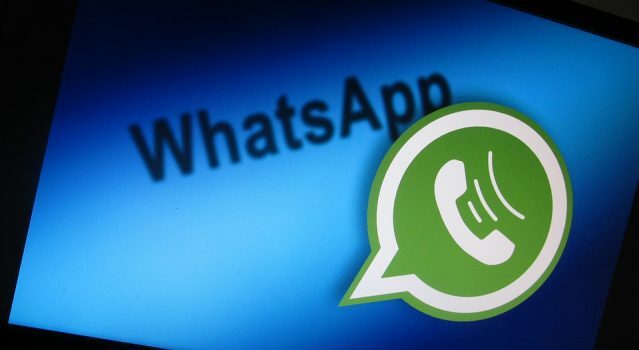 Can you still check blocked messages on Whatsapp? No! Once you’ve been block, you will be unable to see or receive any messages from the blocked sender. He will first have to remove you from the block list to send a text. Are users notified when they’re blocked on Whatsapp? Certainly not! If you’ve blocked someone, they’ll never know until they investigate the matter themselves. This is how to know if someone has blocked you on Whatsapp. Please check these related articles for further assistance.